Powers & Miller is an AV-rated litigation firm providing legal services to businesses and individuals. Powers & Miller's mission is to be considered by our clients and peers as the most thorough, responsive and ethical law firm in Northern California. We believe that quality work can be performed cost-effectively, and that personal attention to the client is essential for continued success. We represent defendants in commercial and residential premises liability actions and have obtained defense verdicts in these areas. Representative cases include trip and falls, slip and falls, assault and battery, falling objects, false imprisonment, and other related actions. Our clients have included some of the largest corporations, coffee houses, hotel chains and retail stores in the country. Representative clients include: Grocers, Inc.; Precision Risk Management, Inc. and Starbucks Corporation. Brian is the senior member of Powers & Miller. He graduated from St. Mary's College of California in 1973 and from the University of the Pacific, McGeorge School of Law in 1979. After working as a Legal Research Assistant for the Sacramento County Superior Court, Brian began his legal career as an associate at Memering & Demers, and later became a shareholder at Toy, Coleman & Davies and Bolling, Walter & Gawthrop. Brian and Jim Miller founded Powers & Miller in January 2003. Focusing his practice on the defense of individuals and companies in personal injury litigation, Brian has tried cases to jury verdicts in counties throughout Northern California. 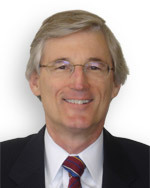 He is a member of the American Board of Trial Advocates (ABOTA) and has been awarded an AV rating, the highest rating in the Martindale-Hubbell Peer Review Ratings. He has represented parties in numerous binding and non-binding arbitrations and at mediations. Brian is a member of the State Bar of California, Sacramento County Bar Association, and the Association of Defense Counsel of Northern California and Nevada. Brian has been a speaker at educational seminars on the subjects of low impact automobile accident cases, boating law issues, principles of damages in personal injury cases, discovery, and automobile Event Data Recorder systems. Brian and his wife, Phyllis, have resided in the Pocket area of Sacramento since their marriage more than 30 years ago and are the proud parents of Michael and Justin. Michael graduated from UC San Diego and is currently working on obtaining his Ph.D. in Microbiology at the University of Chicago. Justin graduated from UC Irvine with a degree in Journalism and is writing and working in Los Angeles.